Rosa became a Certified Crop Advisor in 2002 and in 2004 she became certified as a Nutrient Management Planner. Nutrient Management Plans have been part of Rosa’s working career since 1998 when the first NMAN program was introduced by Don Hilborn. 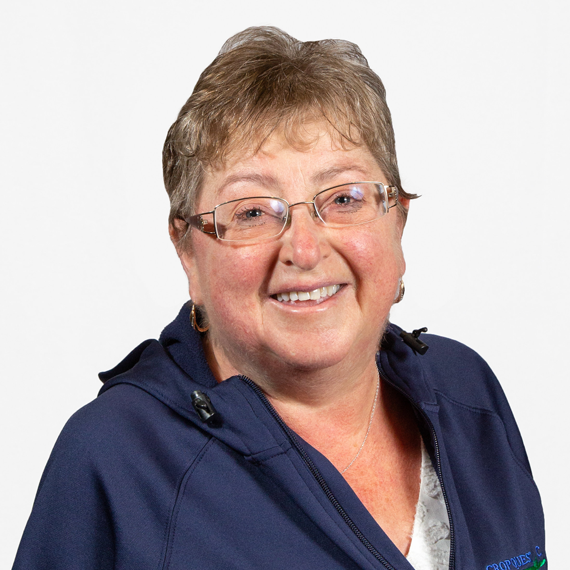 Rosa, who worked at Perth County Co-operative for 8 years, prepared many County Plans as part of her role from 1998 until the Ontario government took over the Strategies and Plans from the local municipalities’ in 2009. From that point until the present Rosa has been preparing Strategies and Plans under the Ontario regulations for some of Ontario’s largest farming operations and has an impressive client list. During Rosa’s years at Perth County Co-operative she was trained and involved in the precision mapping program for soil testing and variable rate fertilizer, writing prescriptions for field applications. Rosa has worked in the fertilizer, seed and grain marketing industry since 1991, mostly with fertilizer and seed at a local Co-op and Paul Toohey & Sons Inc. As a Certified Crop Advisor, Rosa has been able to assist Producers in making valuable agronomic decisions in their farming operation. Rosa is no longer active in a retail operation but has instead concentrated her abilities on preparing Strategies and Nutrient Management Plans for Crop Quest Inc. since 2004. Rosa is available to assist clients with their nutrient management needs.